Hardik Pandya and Urvashi Rautela were seen together in a bash recently. This leads us to wonder about reports of Hardik and Elli AvrRam's rumoured relationship. 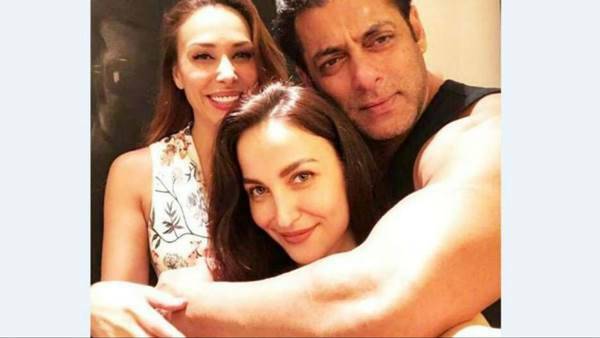 Elli, on the other hand, was seen chilling with Salman Khan and Iulia Vantur. Urvashi Rautela met the cricketer Hardik Pandya and his brother Krunal Pandya. As per a report by SpotboyE, “Hardik Pandya and Urvashi Rautela were engrossed in deep conversation, oblivious to the world around them at a recent bash.” A guest from the party told the publication that Hardik and the Hate Story 4 actor “hit it off really well” and that they exchanged “flirtatious looks” throughout the party. Urvashi, reportedly, met the cricketer and his brother Krunal at industrialist Gautam Singhania’s party at his Breach Candy residence. Well, this leads us to wonder about reports of Hardik Pandya and Elli AvrRam’s rumoured relationship. In March, Elli and Hardik were spotted together several times. Elli had also attended Hardik’s brother Krunal Pandya’s reception in December last year. Elli was seen in reality show Bigg Boss 7 and in a few Bollywood films too. Her upcoming projects are the Telugu and Tamil remakes of Queen, in which she will step into Lisa Haydon’s shoes. Urvashi Rautela has featured in films such as Singh Saab the Great, Great Grand Masti and Hate Story 4.